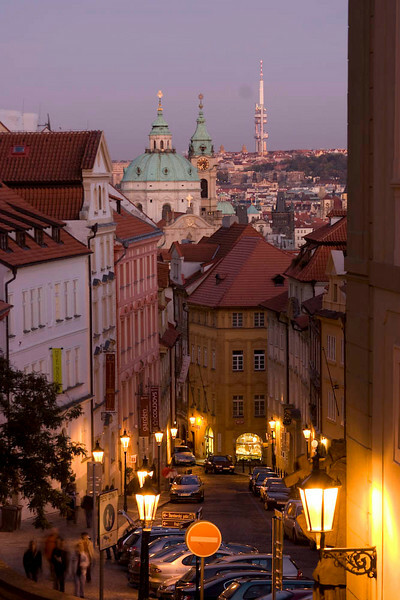 This is the street where my hotel was in Prague. It is located behind us in the picture. This is an older area of Prague with the Castle located up to the left of the picture which is not seen here.